In an already saturated and highly competitive online gaming industry, Golden Riviera Casino has since inception sought to create a friendly approach to their business which in turn has ensured that members have a sense of feeling anytime they play at the casino. A very strong focus is on their payout rate which is the major thing that resonates with every player after all the primary reason why anyone plays is to make big bucks. Another key issue is the very efficient customer support service which Golden Riviera Casino has ensured by upholding honesty and dedication as the hallmark of their brand. More so, the casino has an enviable VIP program and referral schemes that ensure that a member is rewarded for introducing a new person to the casino. As highlighted earlier, the professionalism of the customer service agents at Golden Riviera Casino greatly signals the casino’s poise to attain leadership status in the industry. With their mission to ensure a better gaming feel for players, it is not surprising that the casino platform and site is very responsive with a wonderful ambience. Their customer service is open to not less than 14 nations and with ample staff who speak several languages, players feel at home to communicate with them. Furthermore, the dedicated customer service personnel are reachable via media like voice calls, live chat and even email. 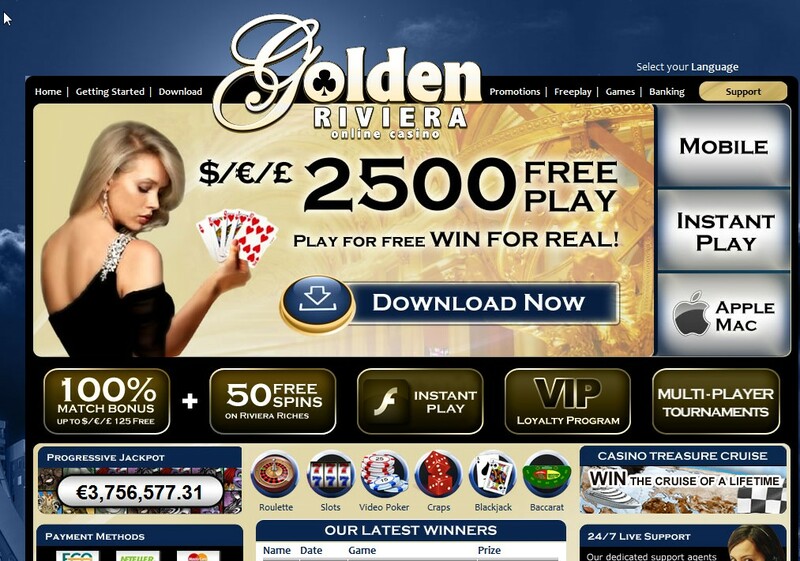 There are several promotional offers that Golden Riviera Casino has packaged for new numbers which includes free plays and a $2,500 bonus valid for certain casino games but which must be played within 60 minutes. Good news is that if a player wagers the bonus and is smart enough to makes some more cash take for instance wagering with the entire bonus money and making $2,800, the player then gets to keep the extra $300. This information is important because some players believe that at the end of the games, they get to cash out their winning plus the startup bonus. Not all players win any amount after the $2, 500, hence the casino also have a 100% bonus on the first deposit to the $125 limit and a 50 free spins on Thunderstruck II. Players that wager on the high side have a juicier welcome bonus and the regulars at the casino enjoy a reload offer of not less than 15% on each deposit they make to the $3,000 limit on a monthly basis. Golden Riviera Casino is open to players from several countries with the exception of the United States which is why it adopted a several currency platform with the British Pounds, Canadian, Australian US dollars, the Swiss francs, Euros and the currency of the Republic of South Africa currently accepted. Running on the highly reputable Microgamming software, Golden Riviera has 550 64-bit games which is downloadable either from the website of the gaming establishment or just enjoyed directly from your web browser. The quick response which is a very strong advantage of the Microgaming software ensures that players derive satisfaction each time they play at the casino. The numerous online games available make the Golden Riveira one of the casinos with the very large libraries in the industry. 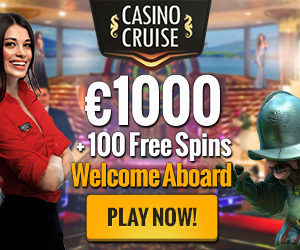 As expected, slots games like Mega Spin slots, classic and video slots amongst others like progressive slots account of more than half of the entire game list but there is also a generous array of baccarat, roulette and poker in all their variants. The video poker is very dynamic such that players can choose to either wager on single hands or multi hands. 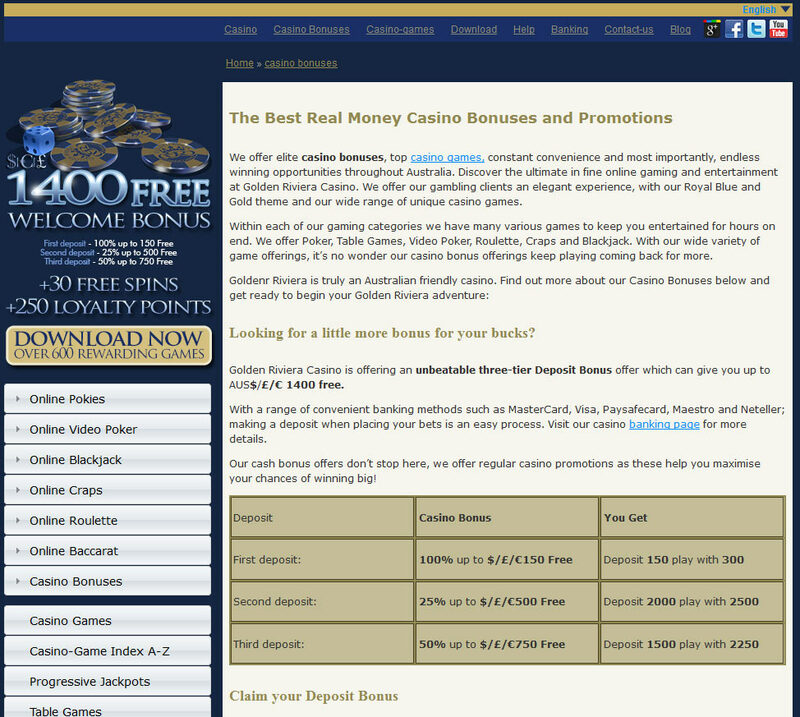 The casino also offers keno and craps games and regular hosting of gaming tournaments. The progressive slots with staggering jackpots are what players should strive to achieve especially as they can win between $35, 000 to $700,000. To ensure that the safety of customer transactional and personal data are safe, the casino adheres strictly to the rules and regulations of eCOGRA and for that the body approves their operations which gives members the confidence that their information is not only safe but that the game they are playing itself is fair and that transparency is enforced in the randomness of the games. The methods of banking with Golden Riviera are numerous to ensure that some players don’t get turn back because the payment option they use is not accepted. While the casino cannot satisfy this need for every member, they have tried to accept several of the world’s leading payment options like MoneyBookers, Citadel, NETeller, ECO and the rest. Also, when compared to the going standard in the online gaming industry, Golden Riviera is doing excellently well in terms of the rates of payout. As part of an automated customer support service, there is a FAQ page that provides information on topics which have over the years given several members issues. This is ideal because instead of having to contact the customer service for issues that have been previously resolved for another member, you could just read through and follow the documentations on the FAQ section. Golden Riviera Casino is offering an unbeatable deposit bonus offer which can give you up to AUS$/£/€ 1400 free.